Of course, this isn’t the first time Facebook has tried to improve it’s feed service. 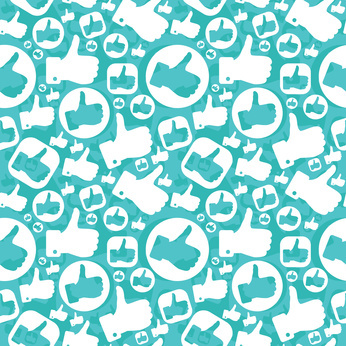 After seeing how much clutter can build up after befriending hundreds of people, 2010 saw Facebook introduce a new feed called ‘Top Stories’ which filtered only the most engaged with posts into a clutter-free feed.They have continued trying to improve this feed with recent tweaks to treat linked high quality news stories with more importance. It is important to bare in mind however, that Facebook developers often spends their time changing and adding to their mobile apps. It’s unlikely that the highlights feed will continue in this vein, or at the very least, will look slightly different when it’s rolled out to a larger number of users. Currently the overlap between ‘top stories’ and ‘highlights’ shows that this new feature isn’t quite ready yet. As it stands, one of the feeds makes the other slightly redundant. For now, those lucky few who have access to this new feature can continue skimming through friend’s life events without a list of high scores and benal quiz results. What do you think of the highlights change? Would it positively impact your Facebook browsing? Get the discussion started by leaving a comment below. This entry was posted in News, Social Media and tagged Facebook, highlights, highlights feed, News, Social Media on February 28, 2014 by Pinnacle.